In recent years, London has become a mecca for fine whiskey retailers. If the iconic retailer Cadenhead is a shrine to Scotch whisky, then its retail rival The Whiskey Exchange (TWE) is Scotch whisky's cathedral. The giant store, which recently relocated to larger facilities near Covent Garden, stocks 800 single malts and 200 other whiskies, one of the largest selections of any retail whiskey store in the world, not to mention that it stocks another 800 bottles of other spirits. According to Andrew Milne, Events Manager, TWE can deliver on 48 hours' notice an additional 3000 varieties of whiskey drawn from its online offerings. With around 4,000 different varieties of whiskey, the majority of them Scotch, it can also claim to be the Internet's largest purveyor of whiskey in general and of Scotch in particular. The original The Whiskey Exchange was opened in 1999, as an Internet based retailer of whiskies and fine spirits. Once the company was established it opened its first store in 2005, in the Vinopolis wine complex near London Bridge. Founded in 1999, the Vinopolis facility was part a wine inspired theme park and part a wine and spirits focused shopping center. The complex offered visitors "virtual tours" of all of the world's major wine regions as well as master classes in tasting and wine appreciation. It also hosted a restaurant, several wine bars, as well as retail shops specializing in wines and spirits. The venue was also used to showcase wines that had medaled at the Decanter World Wine Awards. 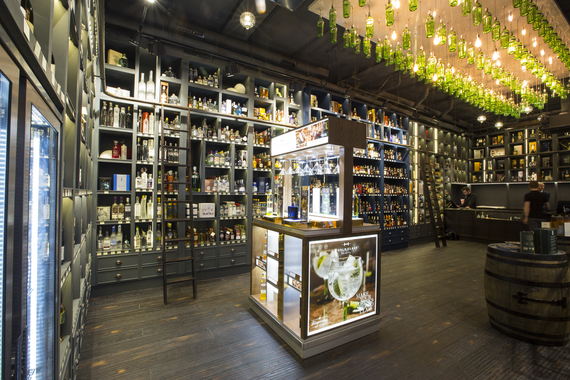 The retail store quickly became a fixture in London's retail whiskey scene, as well as a favorite stopover for TWE's worldwide customers. The store was recognized as Independent Spirits Retailer of the Year at the Drinks Retailing Awards in 2009, 2010 and 2011. In 2014, Whisky Magazine chose it as Overall Whiskey Retailer of the Year, as part of the magazine's Icons of Whiskey Award. The company had always intended to open a second, larger store near Covent Garden, but the new store became a necessity when the owners of Vinopolis, where the previous store was located, sold the retail complex in 2015. TWE has already announced that it is looking for a new site for a second store in the London Bridge area. The TWE's current whiskey selection of 1000 different expressions, most of which are single malt Scotches, will increase to around 1,200 expressions by the end of 2016. The store intends to start stocking the complete collection of Macallan Fine and Rare vintages and the Glenfarclas's Family Cask offerings, as well as an expanded range of what Events Manager Andrew Milne describes as "very rare premium whiskies" from other distilleries. Among some of the "rare" expressions currently offered are a selection of two-dozen 50-year-old whiskies ranging from a 1919 Springbank, one of only 17 bottled in 1970, and available for a cool $72,000, to a Gordon and MacPhail 1966 Banff that was bottled in 2015, and is a relative bargain at $1,100. Order it via mail order and avoid the value added tax and it can be yours for only $925. Since the Banff distillery has been closed for more than three decades, this bottling is truly one of a kind. The Macallan selections will be housed in a special Macallan Room downstairs from the main floor. If the store is Scotch whisky's cathedral, then I suppose this room would be the Macallan chapel. I wonder if they will make it available for weddings? 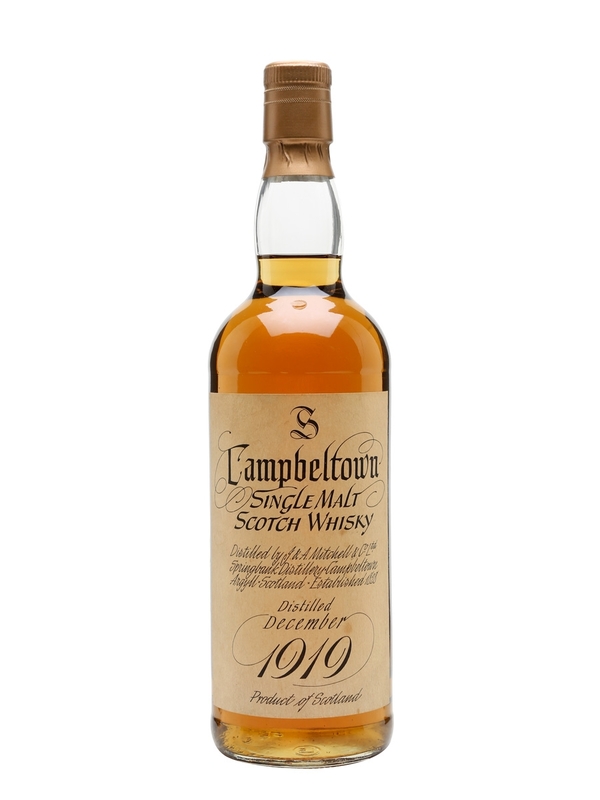 The company also offers a broad selection of limited release bottlings. Most of these are single cask offerings from specialty bottlers like Signatory and Gordon & MacPhail, but also include special bottlings, which are exclusive to TWE. Some of the specialty bottlings are only offered in the retail store in order to differentiate its selection from the online offerings. One more reason to visit the store if you are ever in London, although TWE's legions of online fans need little incentive to drop by the store should they find themselves in the city. Among the company's most requested categories are Japanese whiskies and American bourbon. The former category still has supply issues according to Milne. Limited edition bottlings of bourbon are also showing consistent strength. Scotch whiskey is still TWE's most significant market segment, however, and remains hugely popular among the company's customers. American customers make up the company's largest Internet customer segment and Canada is, from a percentage standpoint, one of its fastest growing markets as, too, is Asia. Rare and limited editions continue to attract strong demand from the United States and northern Europe, according to Milne, while anything with the Macallan name continues to find keen interest among Asian Scotch enthusiasts. TWE's customers are predominantly male, typically between the ages of 35 to 65. Although the company does a majority of its sales online, its Internet sales are also an important driver of traffic in its retail store. The Whiskey Exchange's 40 liter cask program. TWE offers a custom filling in its store from a selection of 40 liter cask barrels. The instore fill program features a blended rum, a blended cognac, and a choice from an ever changing selection of blended single malts from Scotland's various regions. Currently, the Scotch selection features a nine-year-old (YO) Covent Garden Select Reserve Blended Malt drawn from throughout Scotland's whisky producing regions, a nine YO Covent Garden Peated Reserve blend and a 14 YO Covent Garden Sherry Cask Reserve blend. The instore cask program is extremely popular with customers as each blend is unique and is rarely repeated. It typically takes around a month to cycle through a particular cask, although popular offerings can sell out within a matter of days. To comply with current Scotch Whisky Association rules, the casks now need to be lined with an inert material. In addition to its broad whiskey selection, TWE also has a growing specialty in rums. The company was able to secure the last ever consignment of official Royal Navy rum. This batch was released in 2011 and there are still a few bottles available. It was packaged as "Black Tot," to commemorate the last serving of rum aboard Royal Navy ships at precisely 6 bells in the forenoon watch (11 a.m. to you land lubbers). The occasion was dubbed Black Tot Day by die hard traditionalists. It ended a 300-year-old Royal Navy tradition. TWE also directly imports high end Zafra rum from Panama. Starting in 2017, the company also plans to launch a series of exclusive rum bottlings. According to Milne, "rum is one of the first brown spirits people drink so it is a great stepping stone for getting people into whiskey." 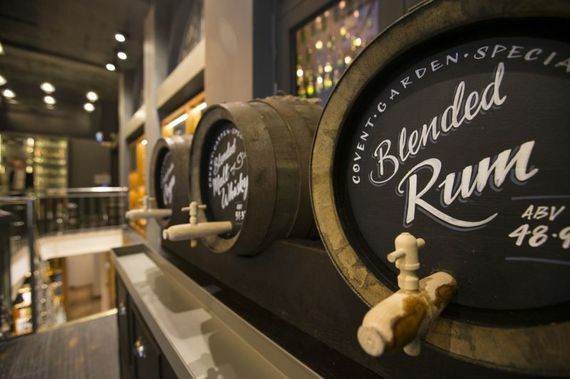 The store holds regular rum tastings and recently featured tastings with Alexandre Gabriel from Plantation Rum, as well as with noted Barbados rum producer Richard Seale. The Whiskey Exchange is one of London's most iconic whiskey merchants. With the largest selection of whiskies in the planet, technically one could say in the universe, it is a not to be missed stop on any whiskey enthusiast's London itinerary.